The Catechetical School also educated many of the monks that later populated the monasteries south of Alexandria. 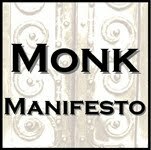 It should be noted that not all of the monks were educated. Some of the monks came from the ranks of poor indigenous Egyptians. The indigenous Egyptian monks were also known as Coptic Christian monks. The Coptic Christian Church is very much alive today. Both the Catechetical School of Alexandria and the Alexandrian School (a school similar to a contemporary university) worked hand in hand with the Great Library before the 5th century CE when the library was destroyed. It likely that many of the early church fathers, teachers and students used library resources for study and research. What is remarkable is the extent of the Alexandrian educational system that grew up around the Great Library. It is likely that the Alexandrian School faded away when the Great Library was destroyed in the early 5th century CE. Many of its teachers and librarians, who could, fled to Persia (Modern day Iran). Those that stayed were slaughtered for their non-Christian teachings and beliefs. It would be at least another 1200 years or so before anything like the educational system at Alexandria would be realized again in the west. It is not difficult to imagine the contribution of the Great Library toward developing an early Christian philosophy and its impact on early Christianity as the library's resources supported early Catechetical School's teaching and learning. The Catechetical School of Alexandria (founded c.a. 190) was a place for the training of Christian theologians and priests in Alexandria. The teachers and students of the school (also known as the Didascalium) were influential in many of the early theological controversies of the Christian church. The earliest recorded instructor at the school, and the probable founder, was Saint Pantaenus. He was succeeded as head of the school by his student Saint Clement. The Alexandrian school is a collective designation for certain tendencies in literature, philosophy, medicine, and the sciences that developed in the Hellenistic cultural center of Alexandria, Egypt around the 1st century. Alexandria was a remarkable center of learning due to the blending of Greek and Oriental influences, its favorable situation and commercial resources, and the enlightened energy of some of the Macedonian Dynasty of the Ptolemies ruling over Egypt. Much scholarly work was collected in the great Library of Alexandria during this time. The name of "Alexandrian school" is also used to describe one of the 2 great schools of biblical interpretation in the early Christian church. They incorporated Greek Pagan philosophical beliefs from Plato's teachings into Christianity (Neoplatonism), and interpreted much of the Bible allegorically. It was established in Alexandria, in the late 2nd century. Many scholars regard Clement as the founder of the Alexandrian school of theology, which emphasized the divine nature of Christ. If you want to dig deeper into the nature of the Schools at Alexandria check out this site maintained by the Coptic Church. Look for the Table of Contents at bottom of the page.